Despite AT&T’s decision to slap “4G” right in the name, the new HTC Inspire 4G smartphone doesn’t even feature full compatibility with the “4G” HSPA+ AT&T network. Following T-Mobile’s lead, AT&T announced at CES that its 3G HSPA+ network is now a 4G HSPA+ network. With that announcement came the unveiling of several smartphones, one of which — the HTC Inspire 4G — launched last week. But users taking delivery of the device noticed immediately that while download speeds were on par with other HSDPA-enabled AT&T smartphones, upload speeds seemed quite slow. The explanation is simple enough: HTC’s Inspire 4G either doesn’t feature compatibility with AT&T’s HSUPA service, or the carrier has disabled it in the phone’s firmware. Wow. We’ve already expressed our feelings on 4G, but we never imagined carriers would push things further still and smack “4G” stickers on smartphones that don’t even support their fake 4G networks. Let this be a lesson, subscribers… Buyer beware. Not all 4G is created equal and not all fake 4G phones are even compatible with fake 4G networks. But who would want the Inspire 4G anyway, when you could have the Morris 4G? Tmobiles 4G (actually 3G) network is good for urban areas but is overall not very useful since it doesn’t make it out of the city. Do they even have edge everywhere yet? Nope. T-Mobile’s 4G is as much 4G as current LTE and WiMax Speedwise and officially recognized as 4G in the form of Evolved 3G tech and you already know that. I go all over and I never have a problem with T-Mobile, just because you have no experience with it doesn’t mean you can guess on the facts. The facts are that none of them are 4G according to the ITU and speed-wise a Ferrari is no faster than a Mini Cooper in high-noon traffic. Bottom line: as soon as there are more than a handful of people active on a HSPA+ cell, your signal starts to drop and your data speeds will suffer. Probably not enough HSPA+ devices on T-Mobile’s network to have this problem yet. By comparison, you can have A LOT more people on an LTE cell. HSPA+ is like adding a faster hard disk to your computer. LTE is like buying a new computer. It’s also factual that you’re an idiot..
To “None”. You’re an idiot. It’s FACTUAL that my T-Mobile HSPA+ speeds blow away Sprint AND AT&T’s speeds. I haven’t had a Verizon handset in my hands to test it out since no one I know uses that overpriced network but my T-Mobile HSPA+ gets consistently 6-8 Mbps. If it’s THAT fast, i’ll stick with my FAKE 4G, thank you very much. Except its not, 4G HSPA+ is completely different then LTE or WiMax. . . And luckily for all us good AT&T customers, HSPA+ is only the first step, as where you poor T-Mobile customers will be stuck with a max of HSPA+ and that’s when you are in a metropolitan area!! I went on Vacation and to watch every person who didn’t have AT&T walking around with their phones in the air was funny as hell , I had edge but I had something. I have had T mobile for a year and Verizon for 15 years prior to AT&T. T mobile couldn’t stand it never had signal it was a nightmare thats why it lasted a year and Verizon had so many dropped calls and the data was slower than dial up not to mention Verizon’s price holy S**t.
I will not rush to join the 4G bandwagon because of crap like this. First of all HSPA+ is not 4G, T-Mobile kind of forced AT&T into joining them on this one by calling their HSPA+ network 4G and launching attack ads against AT&T. Theoretically 21MB/sec is great but in the real world you will be lucky to see more than 4MB/sec. As I already get 2.5 to 3MB/sec most of the time on regular AT&T 3G it is not exactly a huge leap forward. I am going to wait at least another year before thinking seriously about a 4G device. Maybe then LTE will be available in my area from at least one of the major carriers. Until then fake 4G is just a marketing ploy. What are you smoking? LTE will be at least twice as fast as HSPA+. And for the record, NONE of these technologies are actually 4G. However, at this time only LTE has a clear plan for an advanced version in a couple years that will be 4G. See the “4G” article on wikipedia for good summary info and source information. 4g is more of a speed issue, 1 gb standing and 100mb moving is 4g you tard. actually LTE, Wimax, and HSAP+ are not consider 4G. The only current 4G technology that can be considered 4G are LTE Advance, and Wimax2 as the ITU has clarified. Now even though they stated its ok for companys to call their advance 3G speeds 4G, fact is its not. I implore everyone to look up each technology. Lte speeds were reaching 36 down, on a loaded network in Vegas. That’s 4G speeds, mt friend. Oh god, will you 4G nazi’s stop with the “it’s not REAL 4G” whining campaign already. The ITU redefined what is considered 4G. UMTS is 3G, HSPA, HSPA+, LTE, and WiMax are all 4G now. AT&T 4G is a joke anyway. They started falling behind, customer service sucked, data rates sucked, they no longer had the iPhone monopoly, and everyone else had 4G – not them though. So they rush out 14.4 mbps while others are rolling out 21.1 mbps and working on 48 mbps. Typical AT&T disables HSUPA because yet again, they’re not ready but they rolled it out anyway. No, 5-12 is what they say to expect for an average. Theoretical is 50. Engadet said they got 24-36 at CES. You clearly don’t know what you are talking about. I’m not going to even bother posting a bunch of numbers, but as you said to me above; its all about the speeds and HSPA+ on any network cannot do 4G speeds as noted by ITU. Additionally, LTE will go WAY past 12mb and will easily double anything HSPA+. Why do you think AT&T originally didn’t even call their HSPA+ 4G? Why do you think they are also implementing LTE? The first true 4G won’t be a for a couple years with LTE Advanced. Hit Google, it’s your friend. Well, actually, while the 4G thing may be all about speed, it’s also about RAN technologies. See UMTS and HSPA (which is just a newer realease of the UMTS standard) use W/CDMA for the RAN and LTE will use OFDMA. The theoretical throughput on the current LTE release is 300 Mbps using 6×6 MIMO (which no one will be implementing). Couple that with a new backhaul (eNodeBs will handle all the radios, so no need to singal back to the RNC) built on MetroEthernet… in a few years it will all be about spectrum. VZ purchased the 700hz spectrum for 9.6 billion dollars to which NO carrier has spend to allow this type of bandwith..Our 4g speeds start where everyone else tops out. This is factual.. Check with the FCC….we are the ONLY network with that can actually label itself 4G. Its goin to be embarrasing for the other carriers when FCC forces them to call there network what it truly is. @superchunk google this! vz has said their lte will only be 5-12mbs thats it,tard. as per vzw. @flashoverdrive, current lte can do 500mbps. “enode” “metro ethernet” you sound like you know what your talking about. but in order 1gb you need real back haul like atm, right now their is one cell carrier that has a sonet ring 4 fiber atm back bone and thats T-mobile. while vz.sprint use 1 gigahertz either net. attt twisted and either net. Yet again you’re confused. . . Do me a favor, GOOGLE what LTE means! You may just find the answers that you seem to be having a hard time gripping! Leave it to those clowns at the DeathStar. What rationale would you have for doing this?? My God, that place is such a FAIL!! Maybe some XDA action can fix this? where is Verizon when you need them? backhaul not implemented yet? if backhaul not implemented yet, then don’t call it 4G ! that is like saying we’re the first in the world with 5G !!!! If the $99 price tag didn’t tip us off that there was something off with this device, this story confirms it. I guess it’s half the EVOOOO at half the price!!! This is my FAVORITE article of the year!!! What happened to all that AT&T (Cingular, really) iPhone L-O-V-E ????? In the end, Cingular remains just a ‘cingular’ piece of crap!!!! Cingular used to be a way better image than Verizon due to its service and customer support. When AT&T took over Cingular, everyone said it was a bad idea phasing out, but AT&T administration wanted to give it AT&T’s crappy name because they were going to have AT&T’s crappy service and customer support. I miss my Cingular service. AT&T did not take over Cingular. Cingular was a joint venture between Bell South and AT&T (formally SBC), Once Bell South was bought out, they just changed the name from Cingular to AT&T. I was working for them at the time. Nothing changed inside of Cingular. The customer service reps, store reps, engineers, all were the same. Zach: Why would you compare AT&T’s HSPA + network with T-Mobile’s as if they were one and the same. T-Mobile doesn’t cap upload speeds and use 21 Mbps (for HSPA+) not 14.4 Mbps like AT&T does. Plus T-Mobile is moving for dual carrier 42 Mbps this year. Comparing the two as if there were no difference is misleading and poor journalism on your end. Where in this post is any comparison drawn between the two networks? The only mention of T-Mobile pertains to its “snap a finger, now we have a 4G network” marketing stunt that AT&T mimicked at CES. The author implies with his insinuation that HSPA + is fake 4G and that HSPA + phones are fake 4G phones that AT&T’s and T-Mobile’s networks are faux and irreleveant. AT&T chooses to implement their network their way and mobile technology blog sites need to be responsible how they advertise comparisons between carriers. Guilty by association is what I read. The ITU has already gotten over it. Apparently Engadget chooses when to be on the forefront of news and when to stay months behind in their ideology. I meant BGR not Engadget. This is a crock… You just cant implement your network however you want…Its FALSE ADVERTISEMENT and its wont be long before the FCC forces all carriers to advertise exactly what there network is. Verizon is the ONLY carrier that has purchased and made a true hardware upgrade to the towers to facilitate a “4th Generation Network” I know this specifically cause my frient works on the towers to install the new antennas. Verizon spent 9.6 Billion dollars acquiring the 700mhz spectrum to use for our 4G connection starting around 5-12mb/s download speed and 35mb and 40 in some areas. Forget people who are bias towards there carrier…. READ THE FACTS! Hmm, not that I’m saying you’re wrong – I use T-Mobile but please make sure you’re using the right tech names. AT&T DOES NOT have HSPA+, they only have HSPA and UMTS (3G). 14.4 mbps are hspa speeds. 21.1 mbps are the hspa+ speeds. Let me get this straight. The iPhone 4 has HSUPA enabled, and has blazing upload speeds. In addition, it’s download speeds are on par with ATT’s “4G” phones. Yet, it’s not marketed as a 4G phone? But a newer phone with the HSUPA disabled is a 4G phone? WTF. I need a Jack D.
So the iPhone has faster speeds with older tech. Magic. blame the phone or the tech for that. Check out the article on Engadget. The iPhone doesn’t have an HSPA or HSPA+ baseband chip thus, it can’t hit 14.4 or 21.1 mbps. It’s capped by hardware at 7.2 mbps which is UMTS. Engadget already cleared this up. OMG! 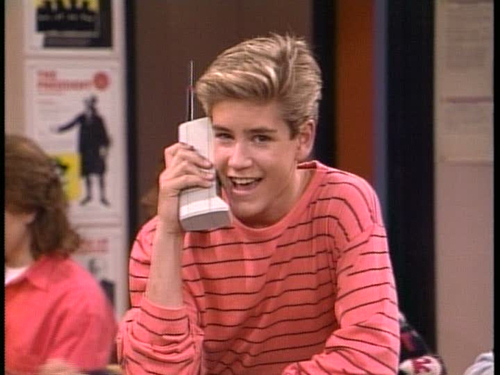 Zack Morris…talk about “old school”…ha! I really, really wish someone would govern these “carriers” marketing ploys and set some standards for the public – that stick. Folks in general are not “techy” enough to know the difference or read the fine print or even much research a product…and it’s driving me bonkers at work having to explain the 4G mess over and over again when they see something new and shiny on TV and start calling with “me wants, me needs, tv said so!”…sheesh! Inspire more fragmentation and hype. AT&T is “the nations fast 3g…”? Really? Well if this were 2008 that might matter but here in 2011 we have 4G. Nobody cares if your 3G is the fastest, that’s old news – most people ‘in the know’ care about 4G these days. You obviously haven’t heard of the Inspire 4G or Matrix 4G. What is AT&T being so noble about here? Wow. My iPhone 4 is more “4G” than this thing is! You can Root you Inspire and bypass ATT’s limitations. Root the Inspire and fix these ATT shenanigans. Does anyone know if HSUPA will also be disable on the Atrix? I’m having second thoughts about AT&T all of a sudden. No surprise here… AT&T simply doesn’t care about it’s network and will do whatever it takes to not spend loads of money on its infrastructure. Over the last 4 years they have spent 30% more than any US carrier on their network. In the 30-60 Billion a year range. Let me know if you want numbers to back up what I just said. Did you know?… My WIFI router does 100Mbps? Should I be upset at my landline internet provider or at the router for the fact the internet on my laptop is only 5Mbps? The 4G (HSPA+) device does 18Mbps which is plenty fast when the internet backbone between the tower and the internet is only 2-7Mbps. THE 3G (UMTS, HSPA) or 4G (HSPA+, LTE) does not determine speed. You are only as fast as your slowest connection. Oh you mean like this: “According to TownHall, AT&T’s capital expenditures on its wireless network from 2006 through September 2009 totaled about $21.6 billion, compared with $25.4 billion for Verizon and $16 billion for Sprint (including Sprint’s investments in WiMax operator Clearwire). Over that time, Verizon has spent far more per subscriber: $353, compared with $308 for AT&T, Hallaren said. Even Sprint has outspent AT&T per subscriber, laying out $310 for network capital expenditure.” And now you want to talk about how they’re trying to catch up? Please AT&T sat on their heels when they got the iPhone, while Verizon when full speed ahead with their network. You can find the the full story at Macworld. Ok Dirtnap, it does look as though you’ve put me in my place. But I didnt mean wireless infrastructure. What that article misses is that the majority of AT&T’s spending has been on wired infrastructure because that’s what connects a cell tower to the Internet. The article made it sound like any $ spent on T1 lines or fiberpipe was a waste. 40 million iPhone users on At&t streaming netflix needed a massively expanded backhaul. Funny cause in the UK we have hsdpa which is termed 3.5G. Funny how the American networks call theirs 4G. Before any trolls start trolling on me, I know the difference hsupa offers higher uploads speeds. However its still not 4G. This disease of sticking 4G on anything that resembles a wireless connection was started by android manufacturers who are involved in a hardware “Dirty” war for marketing purposes. I’m still getting this… I don’t want it for 4g as I know HSPA+ technically isn’t 4g but I love the phone. I’ve been playing with it and I will be giving up my iPhone 4 and going Android because of this phone. I don’t upload stuff anyway so that doesn’t make much difference to me. It is definitely the nicest android phone AT&T has to offer. The atrix is really cheap feeling and I hate the blur software. I played with the atrix and it didn’t impress me. HTC is Android in my eyes. I was hoping to get an EVO like phone finally on ATT so I had an alternative to my iphone. Looks like I’m hosed again. So Atrix is my only option I guess. ATT had such an opportunity here to make a big splash with Android handsets and they are absolutely blowing it. where the eff have you been, Zach? AT&T has bee disabling HSUPA on everything but the iphone.